This is the web home of Precision Concrete, a Las Vegas, Nevada based concrete contractor. Take a minute to view some of our projects. Precision Concrete concentrates on the commercial and industrial construction market in Southern Nevada. We take great pride in the quality of our work, especially our floor slabs. We place our slabs with Somero laser screeds, which in combination with specialized finishing techniques allows us to provide our customers superior floors. Precision Concrete has been a leader and innovator in the Las Vegas construction market since 1987. The company is owned by brothers Larry, Chad, and Dale Stewart who grew up working in their father and uncle's concrete business. 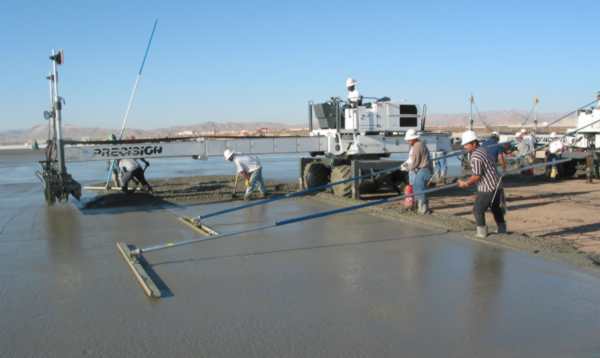 Precision Concrete operates under Nevada Contractors license C-5 #23928 (Unlimited). Precision Concrete also holds an unlimited "B" license in Nevada, an "A" license in Nevada, and a Utah license. Over the years, Precision has completed a long list of projects including schools, hotels, industrial facilities, shopping centers and flood control projects. Precision Concrete has developed a reputation as a leader in tilt-up construction having completed over 10 million square feet of of tilt-up buildings. Precision Concrete is a full service concrete company. Most of our work is performed by our own crews. 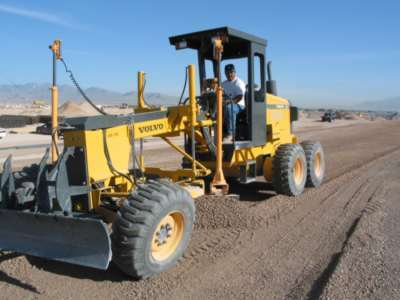 We have our own layout, excavation, grading, forming, placement, sacking, and rebar crews. We own and operate 2 Somero laser screeds and 3 Schwing boom pumps to aid us in our placement operations. If you are planning to do a project in the Las Vegas area and would like us to bid your job please contact our Chief Estimator, Tyler Stewart, at 702.646.5090 or tyler@precisionconcrete.biz.